Following David Ayer having revealed the original plan for Suicide Squad involved Steppenwolf, now Zack Snyder offers a look at Darkseid from Justice League. 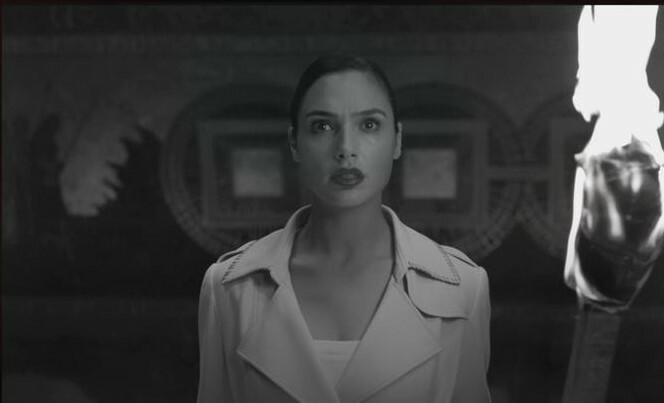 The image found below is from a deleted / unused scene from Justice League involving Diana Prince (Gal Gadot) going to the Amazon Shrine after Hippolyta lit the Ancient Warning Fire. In the theatrical release, the fire lights and the scene cuts to Diana in France working on the sculpture where she sees the fire. 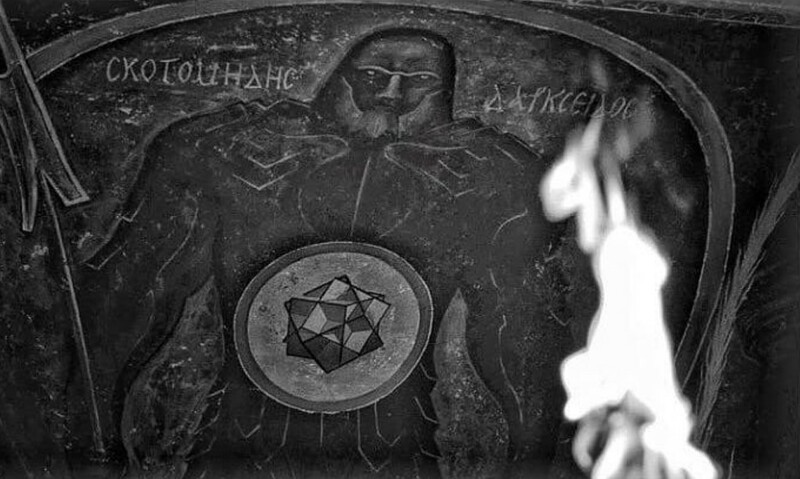 Apparently, Zack Snyder originally intended for Wonder Woman to investigate the Amazonian Warning Fire (which hasn't been lit in 5000 years) where she discovered the Darkseid mural on the wall. 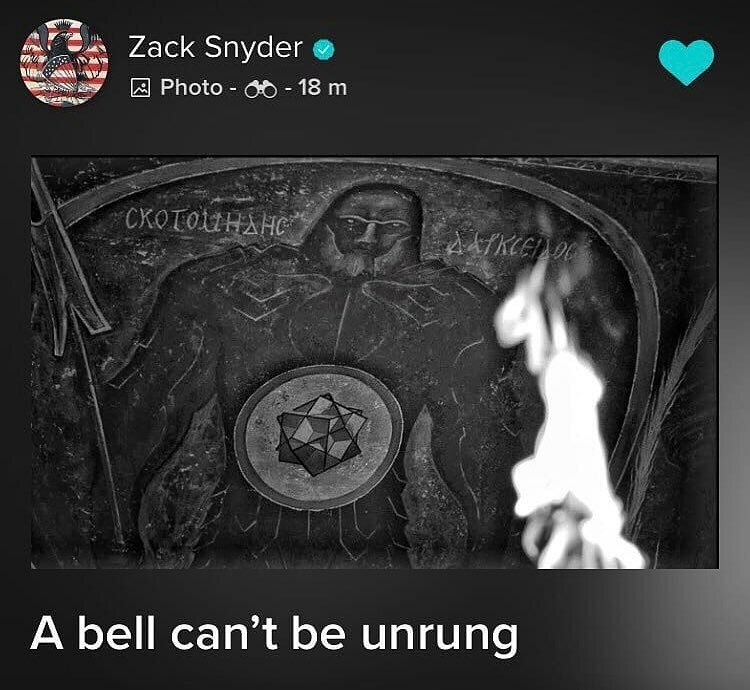 As we see, Zack Snyder also posted an interesting message with the Darkseid art: "A bell can't be unrung." Obviously, the line means Darkseid and his minions are now aware of Earth (actually re-aware as they had that Mother Box war set thousands of years in the past that was featured in Justice League and that Diana knows about, which is why she is scared when she sees the Darkseid image). What's also interesting is that on Thanksgiving Snyder teased that his cut of Justice League was 3 hours long, and now we have this tease of Darkseid. A rough cut of Justice League is known to have featured Darkseid, so Snyder had big plans for the character that were scrapped when Joss Whedon came on board and did the 2-hour cut the execs at WB wanted to go with. Another what-could-have-been for the DCEU.